From amateurs to professional down-hill riders, the possibility of suffering from an injury while riding a bike is high at the best of times, so make sure that you do all that you can to prevent yourself from serious injuries is the best way to enjoy riding alone or with friends. Medical workers see the brunt of these injuries, many of which can be prevented with a few simple tips. Some of the worst accidents occur when you least expect it – so preparing yourself for any eventuality will put you in good stead when it comes to minimising the risks. Riding safely is key to preventing injuries, but as accidents can happen at any time: preventative measures are high on the list. As everyone knows, wearing a helmet can prevent many serious injuries caused by cycling for a number of reasons, but even if you think that wearing a small, lightweight hat on your head may seem worthless, helmets are there to feel the shock of the accident, and take the brunt of the trauma to leave your head with minimal damage. After you have fallen from your bike, ensure that you move to a safe area away from a road or from a track where other vehicles or bicycles may be moving. 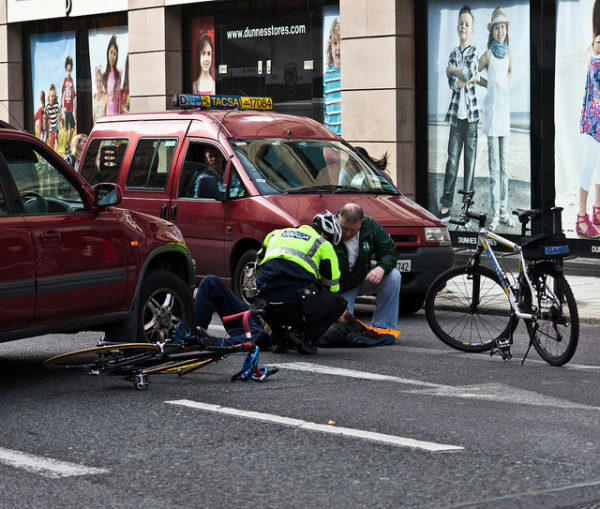 Many serious accidents occur as a result of secondary accidents on the road whereby a person may have fallen from their bike, but have then stepped into the road into on-coming traffic. Staying in a bicycle lane is a good way to prevent yourself from coming into close proximity of any fast-moving vehicles, whereas avoiding dodging between vehicles is also a smart way of riding. Try to stick to the bicycle code when riding, and ensure that your signal and maneuver in a timely and safe manner. 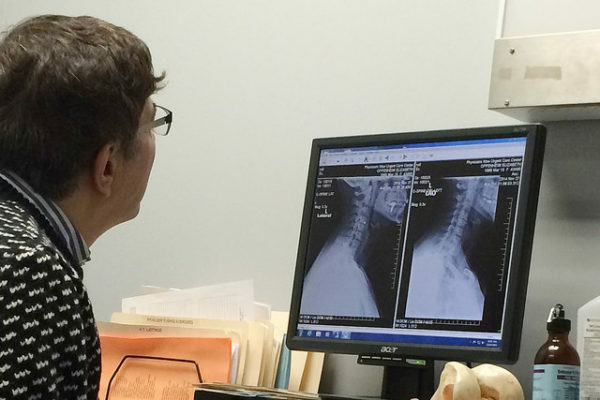 After having a bicycle accident, give yourself a quick check for any injuries that you may have. Check your torso and gut area for injuries as this area is mainly made of soft tissue that can be easily damaged. Internal damage and internal bleeding are the most common issues when it comes to bicycle accidents, so if you have fallen hard and feel any pain in your mid-section, go to the emergency room as a precaution. Checking yourself for any tender spots will minimize any serious trauma getting worse if it goes un-noticed, and placing importance on checking yourself for injuries may prevent any further, serious issues. After an accident, it is important to rest calm and take deep breaths to get some new oxygen into your lungs. Cracked ribs are a regular injury suffered by bike riders in general as the motion of falling off of a bike tends to leave you open to injury in those areas. If you are having difficulty in breathing, this could be a sign of cracked or broken ribs and should be checked out by a medical professional immediately. One of the simplest and easiest ways to prevent serious injury as a bike rider after an accident is to be aware of first aid practices to perform on yourself in the event of an accident. Knowing the difference between a small injury and something more serious could save your life. Learn how to stop bleeding and patch up cuts and bruises, and always take a small first aid kit with you to raise your safety levels during your road trips. Some of the most horrific accidents caused by falling from a bike or being involved in an accident on the roads are neck and spine injuries. Sometimes these types of injuries can be hard to detect as the pain might be much less than you may expect. If you feel any pain at any point along your spine and neck, stay still and ask someone to call the emergency services if you are unable to do so. Try turning your head 45 degrees each side of your body slowly, but if you feel any pain or discomfort at all, stop turning your head, stay in a comfortable position and call the emergency services. 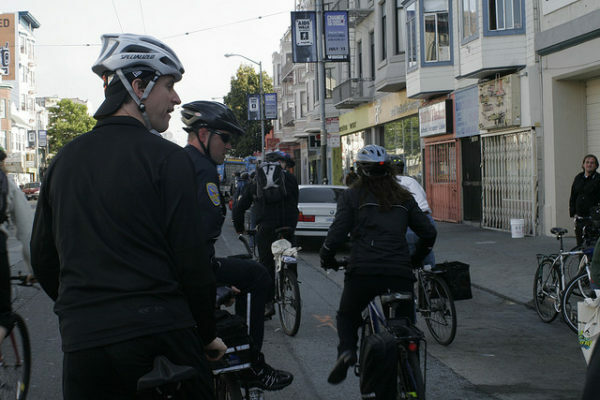 One main cause of trouble with emergency room professionals when dealing with bike accidents is that in nearly all cases the riders were not wearing any form of ID. Making sure that you can be identified, as well as having a list of your personal medical needs such as any medication you are using or any illness or injuries you may already have is of great use to medical professionals. If you have any allergies, especially medicine allergies it is vitally important that you carry around with you a medical band or ID medical bracelet to let anyone know of your requirements if ever you are misfortunate to be in an accident.